Ask any professional photographer how many photographs they have taken in their lifetime, and you’re liable to get an astronomical number. But how many of those exposures are ever seen by anyone other than the photographer himself? Not many. “When you’re editing you’re editing towards a certain end, and when that end is met you forget about the pictures that didn’t make it,” famed photographer Larry Towell told the New York Times. Towell and many of his fellow legendary photographers at Magnum Photos, the renowned photo agency, are now diving into their archives, looking through old negatives and digital files to save some of these lost photographs — ones they love, but for whatever reason, never shared. These striking photos are being rescued as part of a limited-time sale put on by the cooperative agency. Signed prints of select images can be purchased for $US100 at Magnum’s webstore. Magnum shared some images, along with the photographer’s story behind them, with Business Insider. You can see more on their site and on their Instagram page. 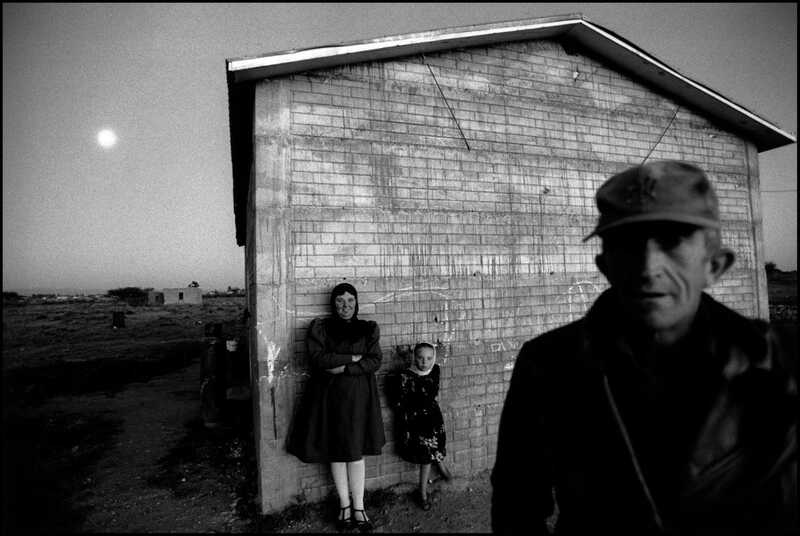 Larry Towell took this striking photo of Mennonites in Zacatecas, Mexico and found it years later among tens of thousands of other negatives. 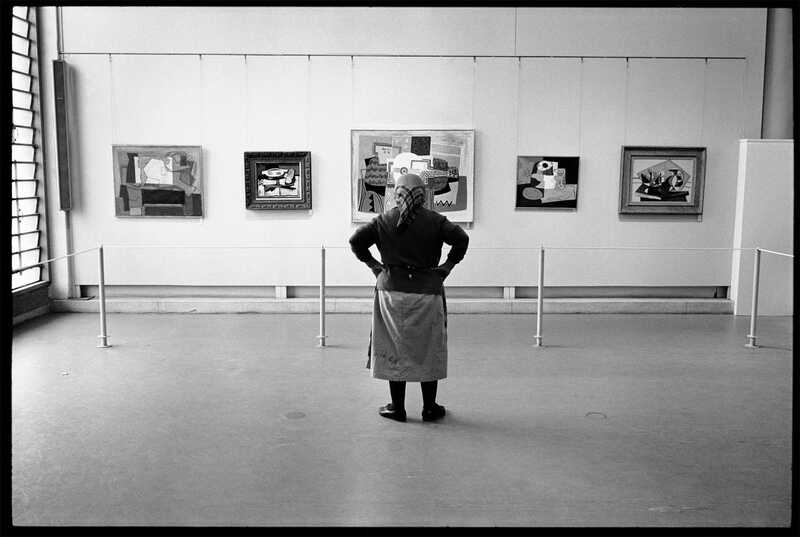 Micha Bar-Am took captured this moment almost 50 years ago at a Pablo Picasso exhibit in Israel. 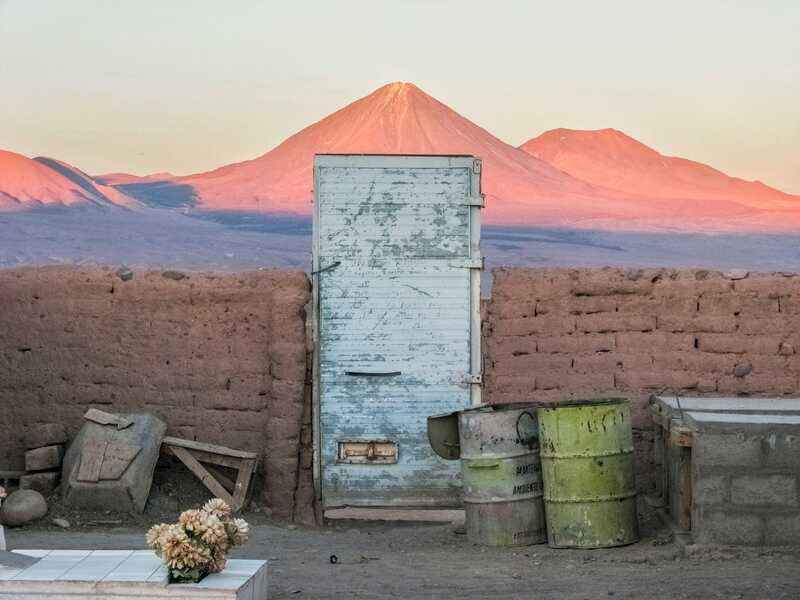 Peter van Agtmael, then a young but already well-respected member of Magnum, took this during a formative time in Chile. 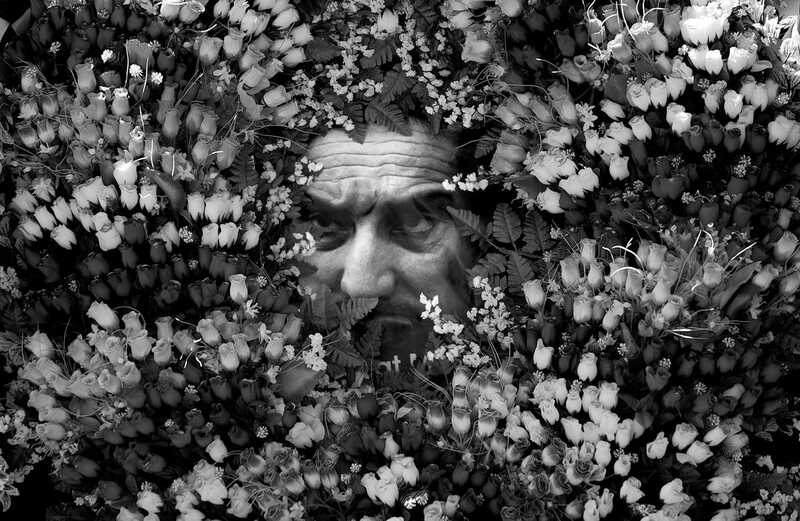 Alessandra Sanguinetti made this image during a determinitive time in her career as well. It was taken on a beach in Brooklyn in 1992 and almost never saw the light of day until now. 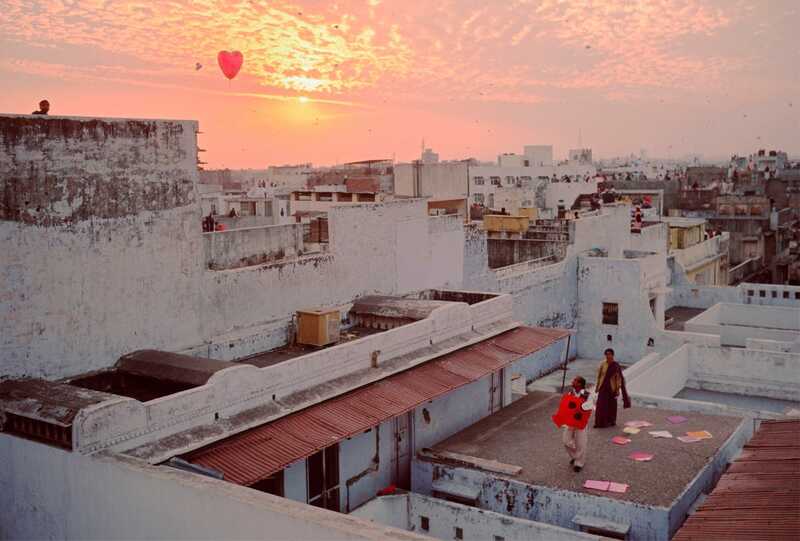 Many photos, like this one taken by Olivia Arthur during her time in Azerbaijan, go unseen because, while the photographer loves them, they don't fit with the current project he or she is working on. 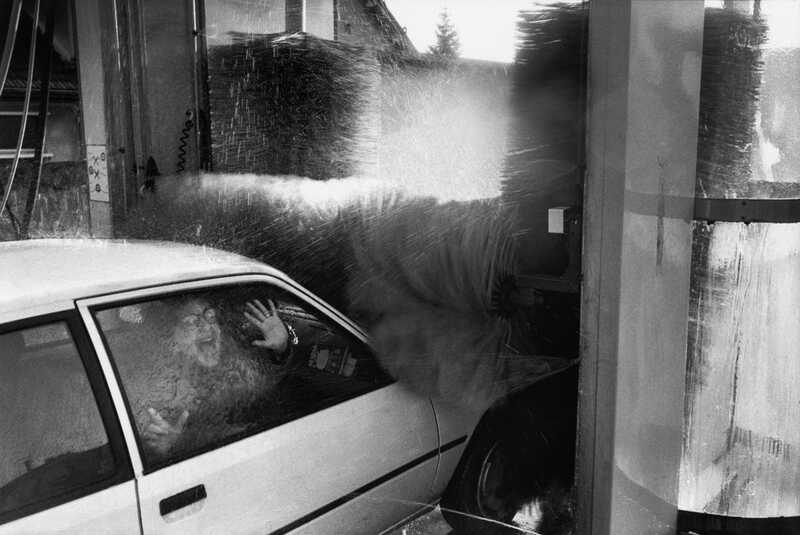 Richard Kalvar took this photo of his wife trapped in her car as it slowly rolled into a car wash. Many Magnum photographers are used to photographing in dangerous scenarios and disaster zones, both abroad and at home. 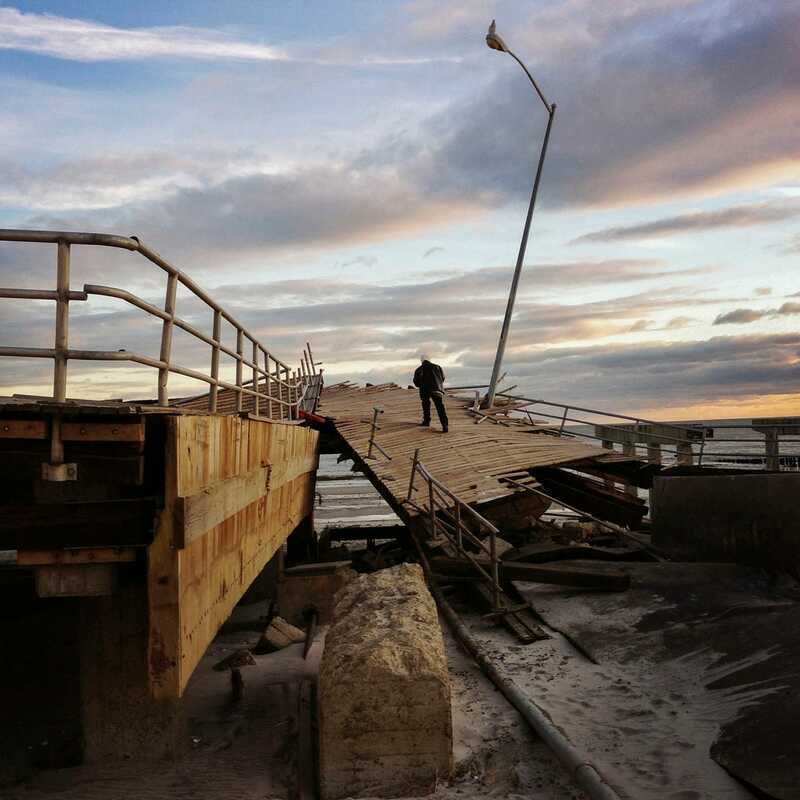 Michael Christopher Brown shot this photo on his iPhone after Hurricane Sandy in 2012. 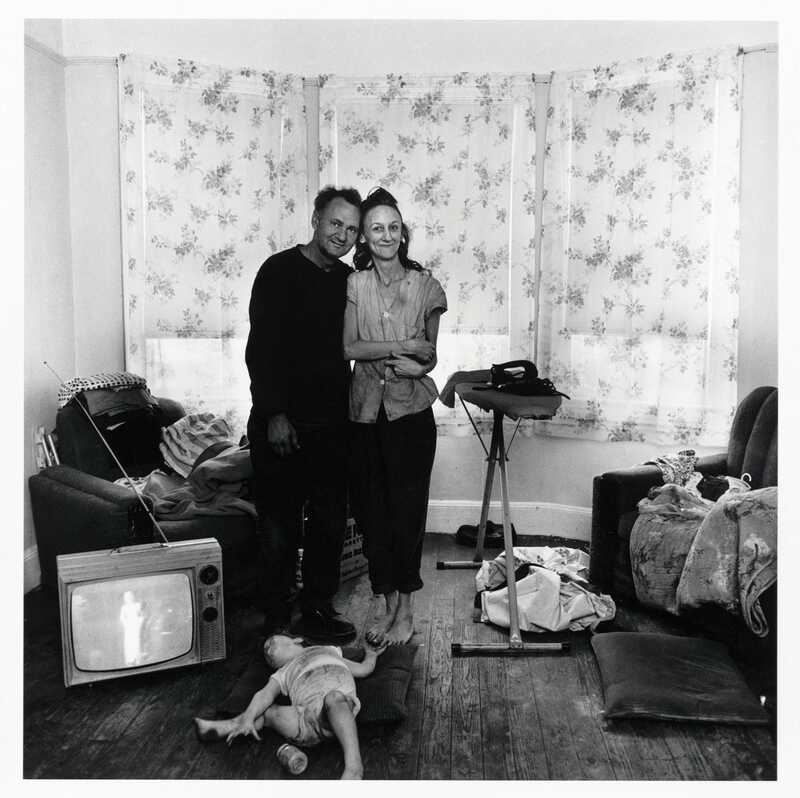 Bruce Davidson has spent his career documenting everyday life in the USA and throughout the world. He found this family in the New Jersey marshes, close to Manhattan, but also worlds apart. 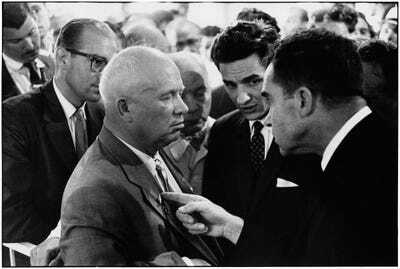 This photo, by nationally acclaimed and celebrated photographer Elliott Erwitt, was taken when he was just 18 years old. 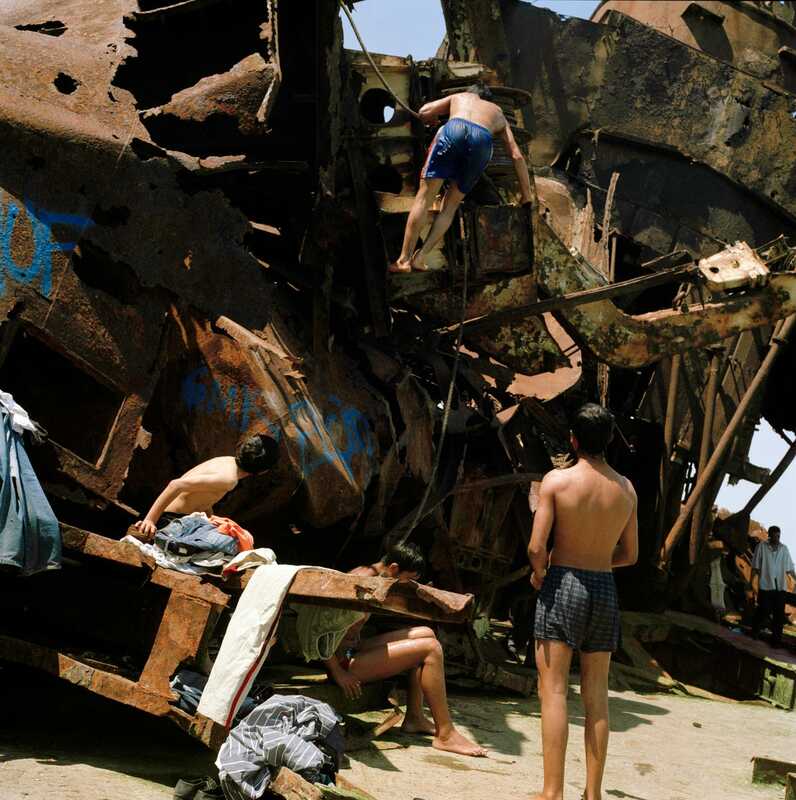 Stuart Franklin snapped this 'touching moment' in India in 2000. 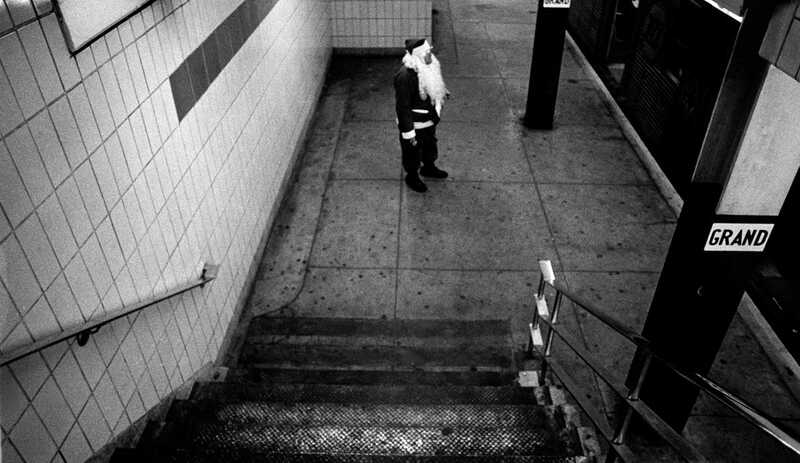 Famed street photographer Bruce Gilden captured this lonely and possibly drunk Santa waiting for the A-train in 1968. 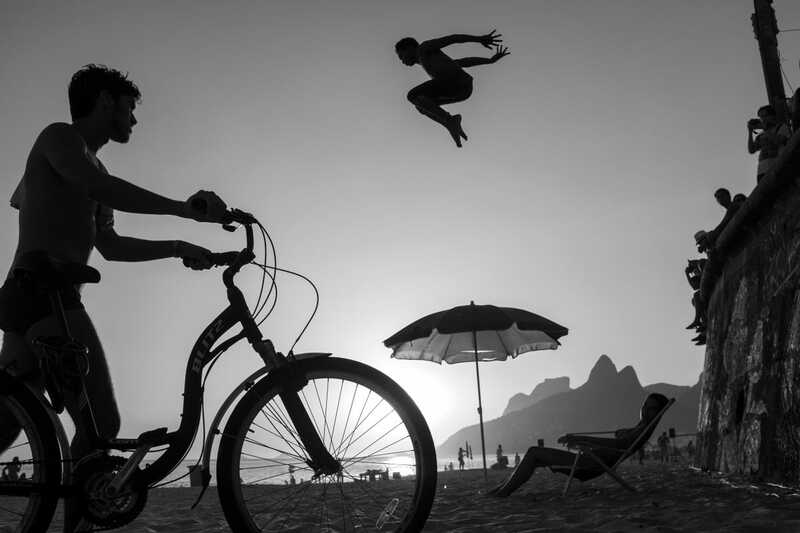 David Alan Harvey, who has shot all over the world but has a special affinity for the beauties of Rio de Janiero, took this photo of a parkour artist but couldn't find a home for it until now. Moises Saman took this photo in Kabul in 2003, where he saw both violence and beauty and captured it all. Bieke Depoorter made this image while working on a project where she traveled the US, asking strangers if she could spend a night in their home. 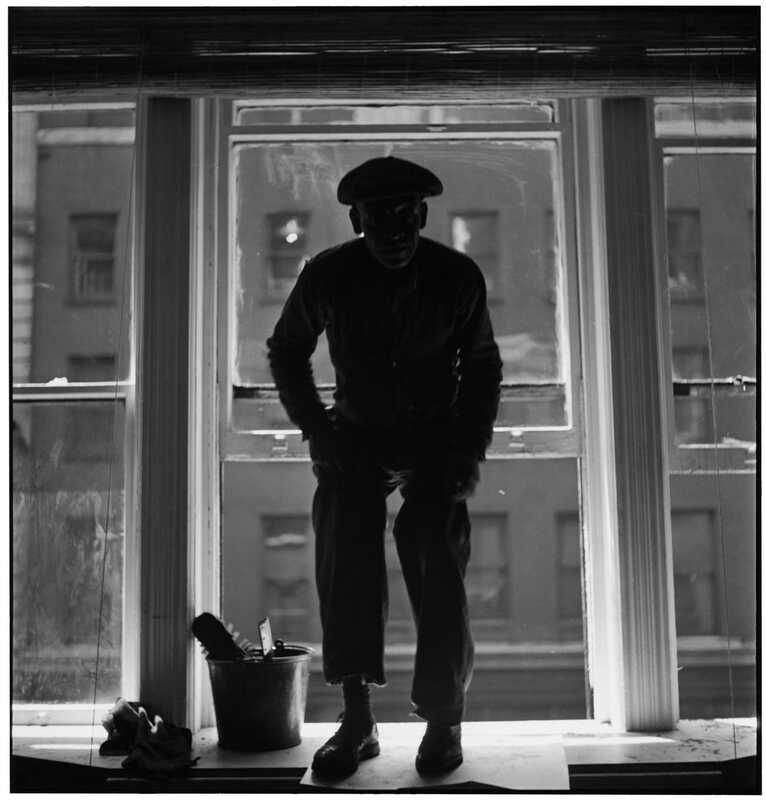 'This photograph was taken during my first visit to the United States for my project, 'I am About to Call it a Day.' I had just finished working on 'Ou Menya' in Russia, a project made by asking people I met on the street to spend a single night in their home. I found that this was my way of entering into the intimacy of their family. With this, I finally felt comfortable taking photographs of strangers. But I wanted to use the same approach in a country where I could speak the language; I wanted to see if it would still work even then. 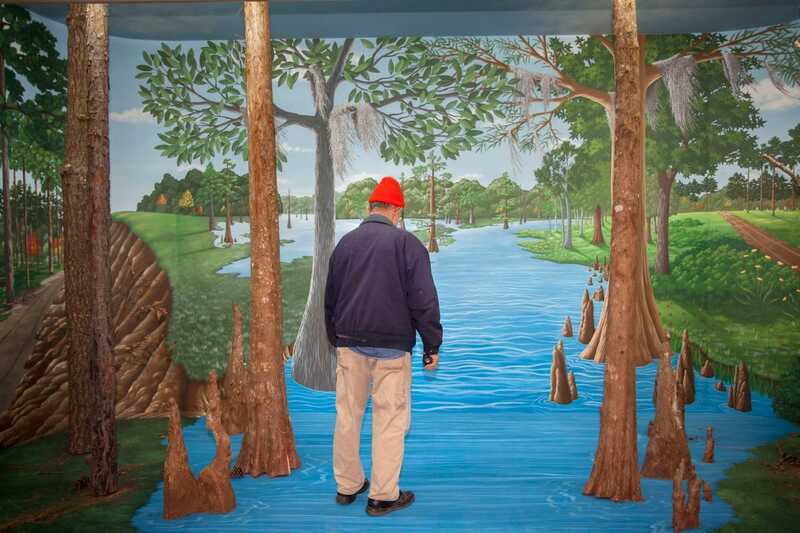 So, while shooting in the U.S., I got stranded in a little town in Louisiana. I couldn't find a place to stay, but an old man wanted to show me, 'The only beautiful museum in town.' The museum's exhibits were buried with dust and the dismal, lonely atmosphere was remarkable. Want to see more amazing pictures from Magnum's legendary photographers?